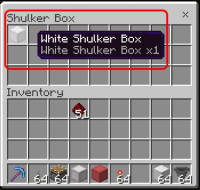 Shulker boxes can be placed inside another shulker box when they are transferred via a hopper. The hopper moves shulker boxes inside another. It was stated by the developers that this should not be possible.